The Widder HPIC-D is a portable, self-contained, air driven hydrostatic test system. This unit is our most accurate system, ergonomically designed for ease of operation. 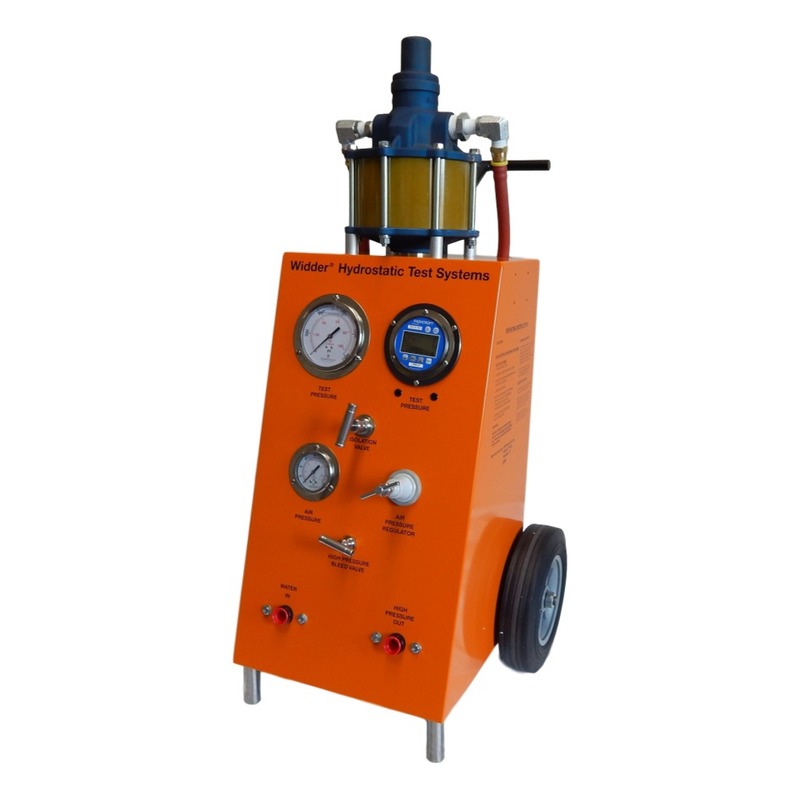 Widder Hydrostatic Test Systems© use a stainless steel, 140 Mesh (100 Micron) input water filter, as well as, full air filtration and lubrication. 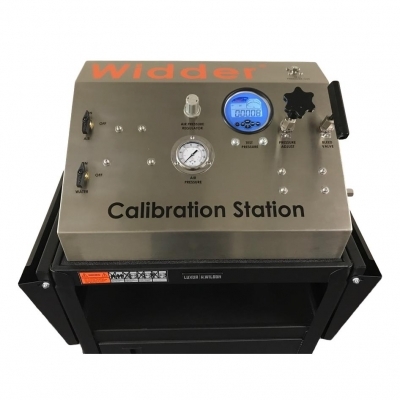 Widder Digital Hydrostatic Test Systems use state of the art digital technology to test with higher accuracy. 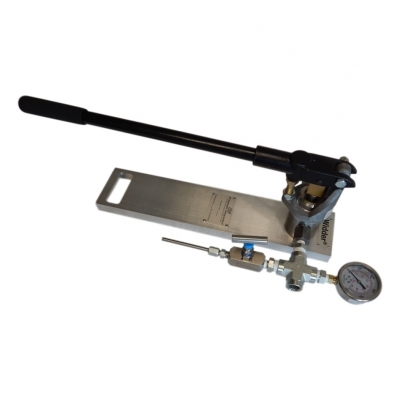 All of our digital gauge options are certified Intrinsically Safe and at least .25% Full Scale Accurate. With the additional 4” liquid filled analog gauge (included on every unit), these systems can be cross-checked in the field for accuracy in use. The standard Isolation Lock out Valve on Widder Hydrostatic Test Systems© allows complete isolation from the pump input where higher system integrity is required. Widder Hydrostatic Test Systems© are made in USA, powder coated for long-term corrosion protection, and constructed for ease of maintenance and parts replacement.